This engagement ring setting from Ritani represents a couple's past, present and future. 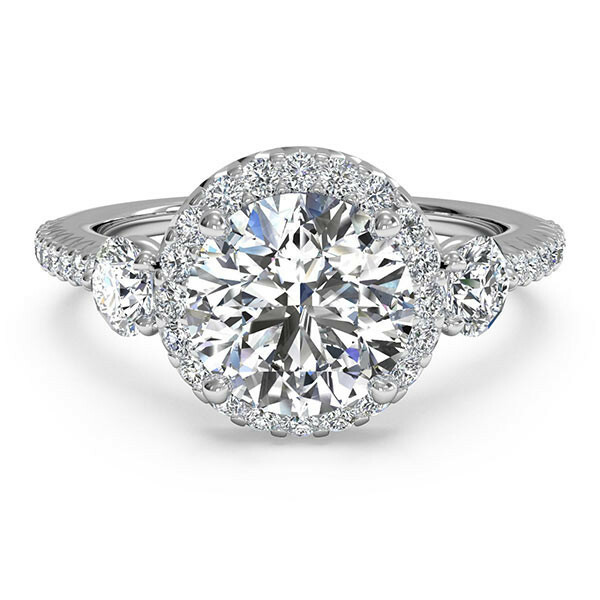 The center stone features a French-set halo, while two accent diamonds bring additional light and sparkle to the mounting. A row of French-set diamonds adorn the band. This graceful Ritani engagement ring setting is gloriously glistening!